When I use words like “healthy” and “nutritious” in the same sentence as festivals and live music, I prepare myself for the inevitable eye roll and snarky comments. 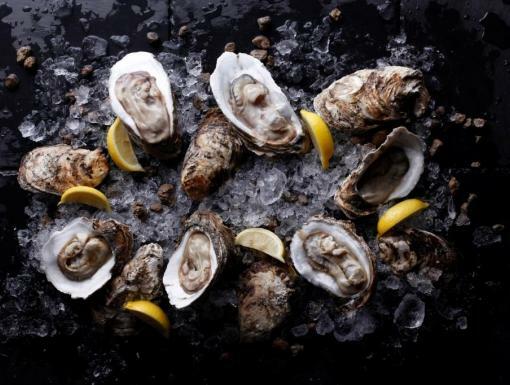 Let’s be clear: I love crawfish bread, oyster patties and fried softshell anything. But I also really love shrimp remoulade, crab ravigote and skewered anything, and I’m grateful that not only are these options are often surprisingly nutritious, they’re also often available at our local festivals. I still want to indulge in some of those local favorites from time to time, and festivals like French Quarter Fest and Jazz Fest may be the only time of the year that I get them. But if I ate deep-fried, creamy rich foods throughout the multiple days of our many local festivals, I would feel horrible. And I would be playing nutritional catch-up for weeks. So I’ve found a balance between enjoying all the fests have to offer, and still managing to eat somewhat healthfully. I look for dishes that are centered on lean grilled proteins with veggies whenever possible, and not stuffed into or piled onto loads of rice, noodles or bread. You've got nutrition questions. We've got answers. Schedule an appointment with a dietitian. Stay hydrated by drinking plenty of water, or, if you’re feeling fancy, sparkling water. I love that French Quarter Fest offers Bubly, a flavored sparkling water, in 16-ounce resealable 16-ounce bottles that make it easier than ever to stay hydrated yet still feel like we’re sipping something a little more interesting than just plain water. Regular iced tea and herbal iced teas are also hydrating and calorie-free, as long as you get them unsweetened. The French Quarter Fest presented by Chevron has made it easy for us to determine which options are nutritious, working with both myself and our Ochsner Fitness Center nutrition team to add the Eat Fit seal to vendor menu boards. 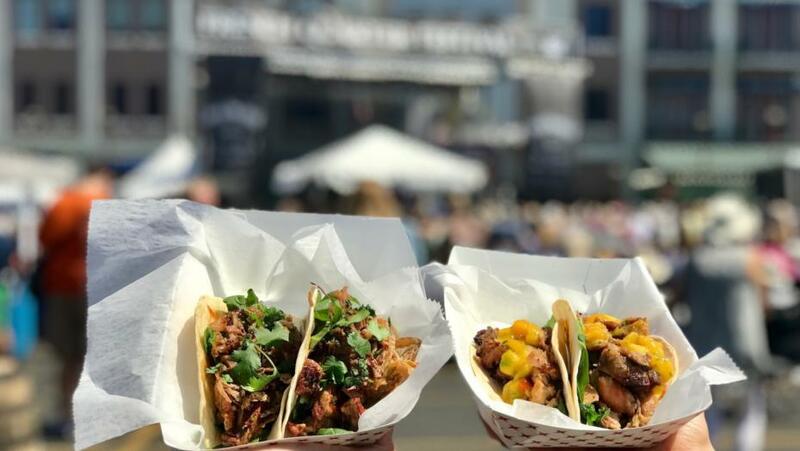 Some of my favorite Eat Fit dishes at French Quarter Fest include Galatoire’s Shrimp Remoulade, Jacques-Imo’s Café Crab & Artichoke Citrus Salad, Tujague’s Restaurant Marinated Crab Claw Remoulade and The Rum House’s Jerk Chicken Tacos. The French Quarter Fest also created an Eat Fit iced coffee, should you need your caffeine fix. The full list of vendors, including notations of the Eat Fit options available, are online at www.frenchquarterfest.org. The New Orleans Jazz & Heritage Festival presented by Shell doesn’t make it as easy to identify healthful options on the menu boards, but over the past 10 years of covering Jazz Fest, I’ve gotten to know the food vendors who offer the healthiest options year after year, and offered guidance in my columns about what – and how – to order at each of these vendor for the top nutritious picks at the Fest. This year, we’re making it even easier to eat healthfully at Jazz Fest with the Eat Fit Hidden Menu. How it works: ask specific vendors for dishes to be prepared “Eat Fit” style and they’ll serve up a plate with no white carbs that’s centered on lean proteins, vegetables and plant-based fats, essentially dishing up the best parts, nutritionally speaking, of their quintessential Jazz Fest fare. 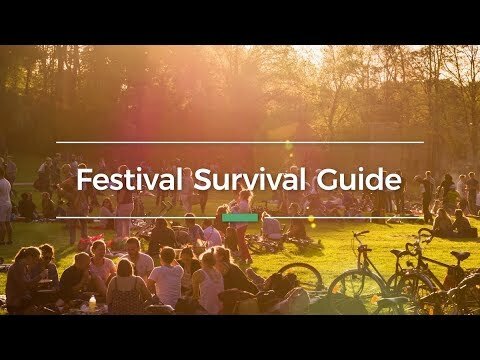 With a little bit of pre-planning and having our game plan and our mindset in place, it’s possible to savor every bit of festival season without completely derailing your wellness goals. This article was originally published on NOLA.com.